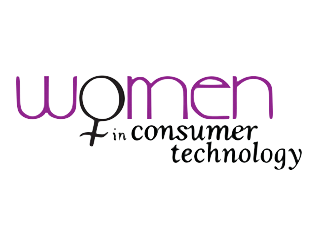 Clare Controls is proud to sponsor the 9th Annual Women in Consumer Technology Luncheon at CEDIA 2017. The organization’s mission is to empower women, build networks, and support career opportunities for women in the traditionally male-dominated consumer technology industry. 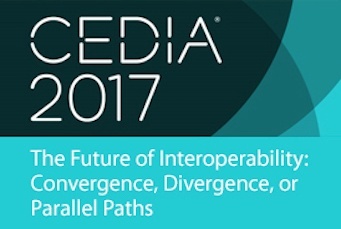 This year at CEDIA 2017, Clare’s CEO, Brett Price will be speaking at a panel discussion on the Future of Interoperability: Convergence, Divergence, or Parallel Paths. Clare Controls now offers integrators the option to become Clare Essentials certified within a few short hours. 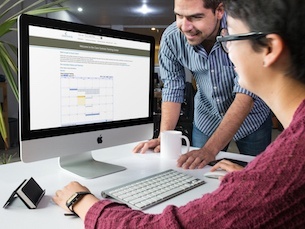 The self-paced online modules may be accessed anywhere with an internet connection. 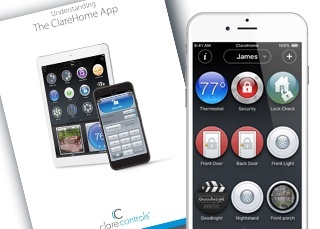 Available for iOS and Android, the ClareHome App puts personalized control of your smart home at your fingertips. 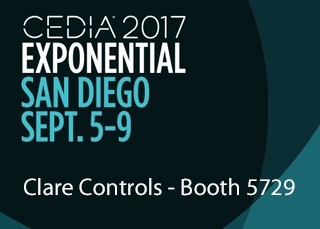 Come see us at the CEDIA 2017 trade show in San Diego, September 7-9. The CEDIA show brings together over 18,000 tech professionals and 500 exhibitors annually to showcase new products and breakthrough innovations dedicated to residential technology.